Defeated in the Battle of Britain, the Luftwaffe crossed the Channel with a new plan in mind. For eight months, they ceaselessly pounded industrial cities and seaports in order to smash England’s war economy and break the spirit of its citizens-who had never before experienced such a massive attack. 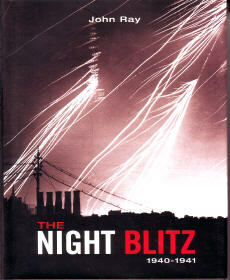 In this finely structured account, a World War II historian assesses the tactics employed throughout the Night Blitz and graphically recalls its effects throughout the country, month by month. 288 pgs w/index, HB w/dust jacket, 6 x 8.50, b&w photographs.